EcoRaider® is a natural product made from organically extracted botanical insecticidal compounds that can kill bed bugs on contact. 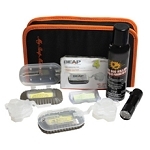 Its sure action by direct spray has been proven by both university lab and field research. 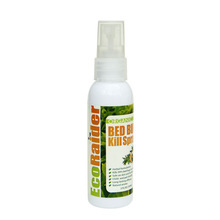 EcoRaider can kill adult bed bugs, nymphs and eggs on contact and is also highly effective for both early and heavy infestations. 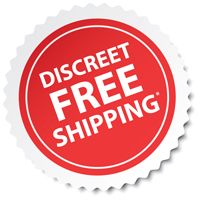 While it provides an effective solution for eradicating bed bug infestations, the toxin-free EcoRaider is safe to spray indoors as all its ingredients are in compliance with FDA GRAS (Generally Recognized as Safe). 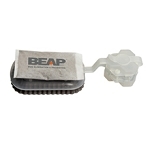 It is bio-degradable and has a natural, pleasant odor. Use this 2 oz bed bug spray when you check into a hotel, go to a movie, take a bus or stay over a friend’s place.